Jo Parry's richly coloured illustrations and Juliet David's simple words capture the wonder of Jesus' birth introducing children aged 4 to 7 to the reason we celebrate his special day and why we want to share this very special gift from God. The Christmas Story for preschool children is a vibrant splash of colour, each page has been lovingly illustrated to create a memorable journey through pictures and story. With self-explanatory words, the child-friendly narrative will help your children to remember and understand the journey to Jesus' birth. From the artist who illustrated the Candle Bible for Kids, comes 'The Christmas Story' - a delightful retelling of the greatest story ever told. Delightful pictures help children remember the stories and help grown-ups voice the story for the youngest children (2 years up), with simple words and sentences for those early 'read for myself years' of 4 to 7. For a beautiful book that clearly explains the meaning of Christmas with gentle pictures and simple language, 'The Christmas Story' is the obvious choice. The Christmas Story by Juliet David was published by Lion Hudson in August 2012 and is our 13228th best seller. 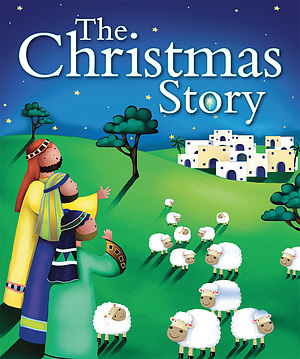 The ISBN for The Christmas Story is 9781859859407. Be the first to review The Christmas Story! Got a question? No problem! Just click here to ask us about The Christmas Story. Richly illustrated by "Candle Bible for Kids" artist Jo Parry, "The Christmas Story" helps children discover one of the most important stories of all time. Through clear and simple text, children come to understand the events leading up to Jesus' birth and this special miracle. It introduces children to the reason why we celebrate this special day, and shares with them the wonderful gift from God.